Run ONLY the Web 3 Formatted Pages on a Web 3 Server. Web 1&2 pages may remain on existing servers. You can manage the transactions, or we can. 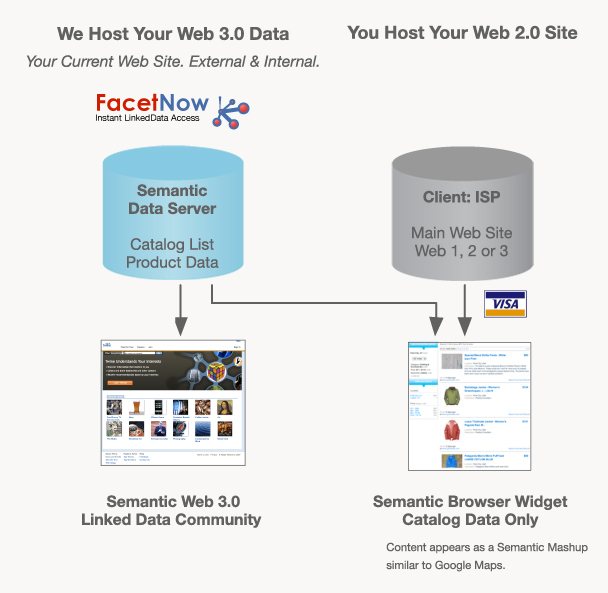 Efficient, Low Cost Hosting of your Semantic Web 3.0 Data and Applications. Our site design and architecture is built to give you maximum flexibility and control as your business evolves.